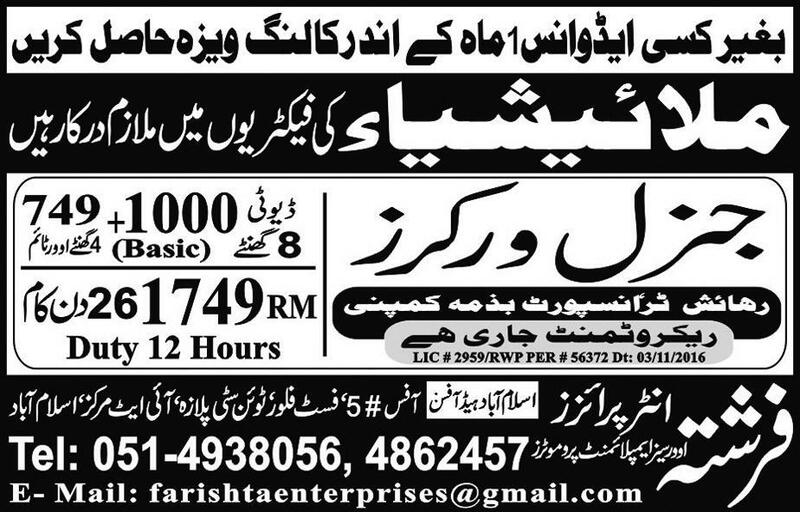 In the Malaysia Overseas Employment Jobs Pro Motors Company has announce latest posts of General Worker Malaysia Jobs 2017 by Farishta Inter Prize is giving the earning career opportunity for the whole people can get apply for these vacancies through online or face to face meet him in the Islamabad Office. The duty timing is eight hours in a day in different factories labor staff is required now. The other accommodations are giving as basis employ.